Stop your dog pulling on the lead, guaranteed, with K9 Care’s Calm8 no pull dog lead. 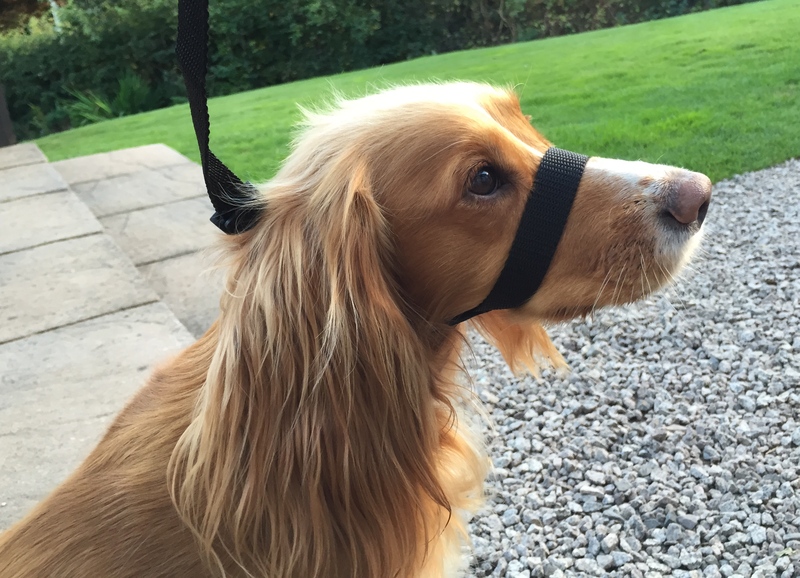 The Calm8 lead is made from soft nylon webbing which is comfortable for your dog and easy on your hands, it fits over your dog’s head like a head collar but works in a unique way, putting gentle pressure in the correct places without choking or hurting your dog. The Calm8 lead does not ride up over the dogs eyes like most head collars. If you have tried other devices which are supposed to stop pulling such as choke chains, harnesses, Haltis or other head collars and they didn’t work, then you should try the Calm8 because it really does work. The Calm8 lead can also be used as a gentle slip lead once your dog has learned to stop pulling. I am currently offering a 1 hour training session plus a Calm8 lead for £40. You will be shown how to fit the lead properly and given a demonstration followed by full hands on instructions on how to walk your dog using the Calm8 lead in a way that is guaranteed to stop your dog pulling. Most dogs will have stopped pulling by the end of this session. The Calm8 lead is not suitable for very young puppies or flat faced breeds like Pugs, Bulldogs, French Bulldogs etc. Training sessions can be arranged to suit you including evenings and weekends, to book your session you can use the contact us page, call me on 07872 575672 or you can message me on Facebook.